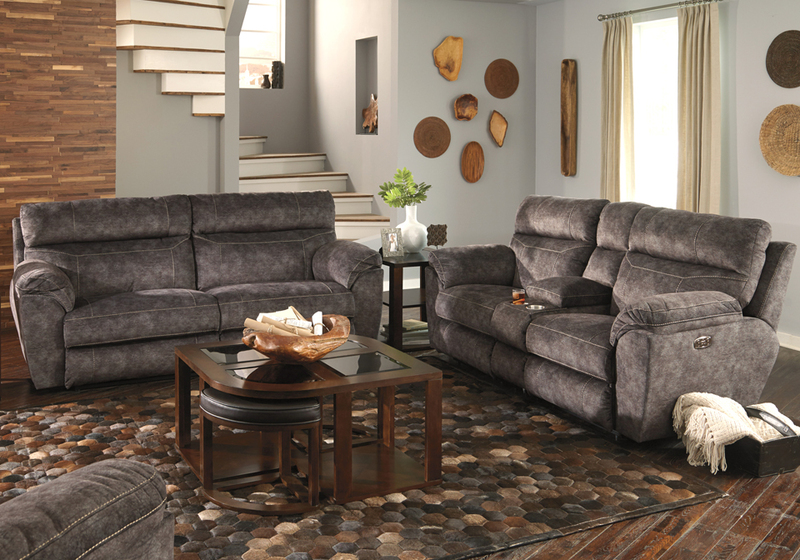 The Sedona Power Reclining Sofa Set in Smoke is a wonderful addition to your home. Sink into comfort with this inviting sofa set! Comfort coil seating features Comfor-Gel and the power reclining mechanisms allow you to lay flat and adjust the headrest for optimal comfort. 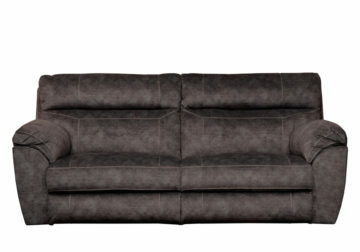 The ultra-soft, suede-like upholstery ensures this is a stylish addition to your living space. *Sofa only; loveseat sold separately. The Sedona Power Reclining Living Room Collection by Catnapper features luxuriously soft chenille fabric, fashionable contrasting accent pillows, steel seat box construction and Comfort Coil Seating featuring Comfor-Gel. Frames, mechanisms, comfort coil cushions and springs are made from the finest materials. The fabrics are wear-tested in the test’s lab before being Catnapper certified. Genuine Catnapper furniture stands the test of time and is crafted to the highest quality standards. Moreover, before its products are sent out the door, they’re real-life tested, because superior quality control is number one priority.